The multilateral development banks cumulatively channel billions of dollars annually in development assistance to borrower countries. This finance is usually spent through processes that incorporate the public procurement regulations of the banks and it is often a condition of this finance that the funds must be spent using the procurement regulations of the lender institution. 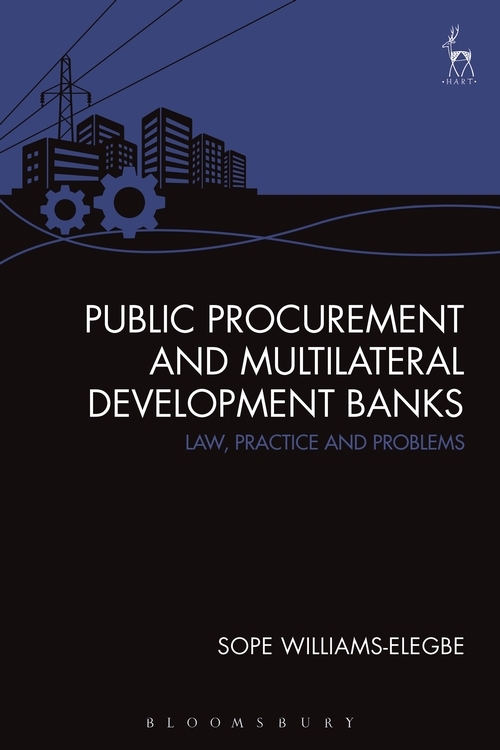 This book examines the issues and challenges raised by procurement regulation in the multilateral development banks. 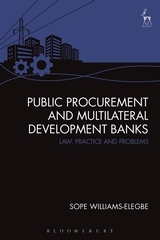 The book examines the history of procurement regulation in the banks; the tripartite relationship created between the banks, borrowers and contractors in funded procurements; the procurement documents and procurement cycle; as well as how the banks ensure competition and value for money in funded procurements. The book also examines the banks' approach to sustainability concerns in public procurement such as environmental, social or industrial concerns; as well as how the banks address the issue of corruption and fraud in funded contracts. Another issue that is addressed by this book is how the banks have implemented the aid effectiveness agenda. It will be seen that the development banks have undertaken steps to harmonise their policies and practices, increased borrower procurement capacity, taken steps to reduce the tying of aid, and play an important role in the reform of borrower procurement systems, all in an effort to improve the effectiveness of development finance. The book also considers the contractual and other remedies that are available to parties that may be aggrieved as a result of a funded procurement. The book analyses, compares and contrasts the legal, practical and institutional approaches to procurement regulation in the World Bank, the Inter-American Development Bank, the African Development Bank, the Asian Development Bank and the European Bank for Reconstruction and Development. Sope Williams-Elegbe is Associate Professor at Stellenbosch University, South Africa, a public procurement consultant and former lecturer at University of Nottingham.